The Adventures of Tom Sawyer, a nineteenth century novel by Mark Twain, is at its core a Bildungsroman; a story that focuses on the mental and spiritual growth—the coming of age, of the protagonist from his or her youth into his or her maturation. In the case of Twain’s novel, the titular Tom Sawyer is taken on a journey that sees him go from an immature child to a young man capable of making rational decisions. Tom’s unruly nature sends him (and those he drags along with him) through a series of increasingly dire situations that provide him with opportunities to define himself as a person throughout. As Tom travels deeper and deeper into darkness (both literally and metaphorically), he comes to gain understanding in a world where others constantly seek to fill his head with their flawed conceptions. Eventually, Tom comes to embody the traits of what Twain defines as a hero. Through Tom’s adventures, readers come to understand that heroism manifests when people diverge from group human behaviour and focus on what they as individuals have to offer. Through overcoming society’s conception of what it means to be human, Tom is able to achieve a greatness and heroism that is independent of what others expect of him. This is a brand new type of post I’ll be making on this site called “Mind Spill” (Nearly titled “Thought Vomit”) which will just consist of me posting my thoughts on random topics in a flood of little posts. Enjoy! The most insidious kind of racism in media is the kind that exists just under the radar. The kind that’s loud enough to be heard, but not loud enough to be seen. Maybe the writing of a show happens to portray all Asian men as effeminate and ineffectual weaklings, perhaps all black characters in a movie just happen to be layabout brutes with no thoughts or original ideas of their own. Yes, racism in media is most potent when it’s hard to spot, yet is simultaneously clear as day. The racism in the manga and anime series Terra Formars by Yū Sasuga isn’t like that at all. There is no subtlety to it, it serves no discernible agenda, and is the purest form of stupid; however with that said, it’s also kind of hilarious. Recently, this variant cover of Batgirl #41 by Rafael Albuquerque has been making waves on the internet, and it’s clear why at first glance. Even without understanding the deeper meaning behind the imagery, it’s easy to understand why so many feel this cover is misogynistic. This is a chilling piece of artwork, and something everyone agrees on is the fact that it was exceptionally well drawn. On a surface level, this is a creepy picture of the Joker victimizing Batgirl, but to those who have read the seminal Alan Moore graphic novel, The Killing Joke, the imagery carries a decidedly darker tone. For those that don’t know, during the events of The Killing Joke, the Joker approaches the Gordon household, rings the doorbell, and when Barbara Gordon (Batgirl’s secret identity) answers the door, he shoots her through the spine (an act that paralyzes her and nearly ends her crime fighting career). Afterwards, he has his men capture her father, the police commissioner Jim Gordon. In a plot to drive Jim insane, the Joker strips a bleeding Barbara, snaps pictures of her naked body, and leaves her to die on his way to show those same pictures to her father (who is also to be stripped and degraded in a horrific sequence of events); all while wearing that tonally inappropriate tourist outfit he is sporting in that cover. It is one of the most striking and horrific moments in comic book history, and it is what the artwork above is harkening back to. Oh wow, I never realized how fully realized the Joker was from his first appearance. This was a really interesting read, thanks! Retro Review takes a look at influential issues of DC Comics and measures their artistic integrity against their cultural and symbolic importance to the DC Universe and comic books in general. While last year marked the 75th anniversary of the Batman, this year mark’s the 75th anniversary of the debut of the Dark Knight’s self-titled solo series. 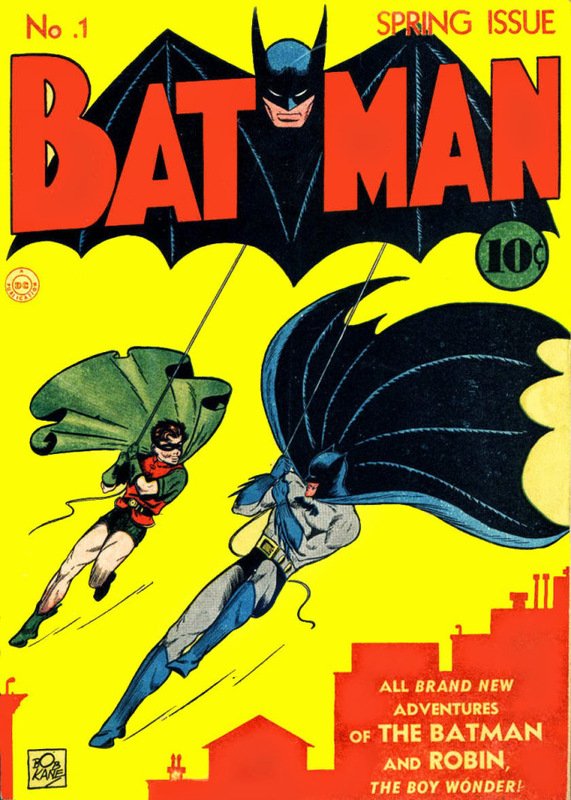 Batman was one of the longest running continuous comic book series of all time, but more importantly, it was the series that introduced two of the most important and iconic characters in the Batman mythos. Scott Snyder’s Batman: Death of the Family is one of the most ambitious Batman stories I’ve ever read. It is one that seeks to make a definitive statement about Batman’s relationship with his arch-foe and it succeeds in doing so in a way that was never done before. The attention to detail and the obvious reverence Snyder has for the source material is palpable. The Joker is simultaneously at his most loving and deranged in this horror story as he takes Batman down memory lane and makes a serious effort in emphasizing why their relationship is so important, and why the one he has with his supposed family is the part of Bruce’s life that truly needs to be destroyed. The characterization of the Joker in particular is what proves to be both this story’s greatest strength and weakness. I should probably clear up the fact that, yes, the phrase “triple standards” isn’t a thing; however, that doesn’t mean that it isn’t the best way to describe the situation we find ourselves in with race and casting in Hollywood. Casting the right actors for movies (and superhero ones in particular) is arguably the most important part about making one. Who you cast seriously affects the box-office turnout, the strength of your film, and its critical reception. There is a lot that goes into picking who should star in your movie because that process alone will mean the difference between success and failure. Thanks to the potential for prestige and adoration enjoyed by many prominent actors (and perhaps a genuine passion for the craft), there is a huge number of people aspiring for roles in films; all of which coming from wildly different backgrounds, but the unfortunate reality is that while many of them would like to be movie stars, most will fail miserably. A huge factor in this is the discrepancy between race and representation in Hollywood.